What to Buy?? New or Established / Unit or House?? This is a topic that will eat 400 odd words before we even get started. What to buy? Looking to purchase what will best suit your own end result and your own home is vastly different to how an investment property will perform for you. Let’s look at this from an investment perspective; you want a mixture of solid tax deductions, good rental return, low vacancy and high demand for tenancy and solid capital growth. Remember, cash flow is king so play it safe with capital cities / good demand. As for what to buy, once again this comes down to what works best for you and your appetite / borrowing capacity – as always keeping it safe is the key here. Established property is ideal for those that do not want to go through the build process. The down side is that you will pay stamp duty on the entire purchase and remember this is a capital expense that you can claim once you sell (should you sell). You will also not have the tax deductions and cash flow advantages that a brand new property delivers. New Property does require homework to ensure that you have the fundamentals right with rental demand, existing infrastructure and the right builder. Remember to avoid oversupply and keep the investor mix low to (30% or less). Whilst new property delivers the best cash flow (with maximum tax deductions and depreciation and the highest rental returns) you also need to navigate your way through the changing minefield with lending – this is simply part of the ride. Units as an investment work for many. My main concern is the supply or, better said, the oversupply and how this can affect future valuations and rental demand. Units vs. Houses is a big debate. I appreciate the argument for inner city living and the price point can enable entry to the market. 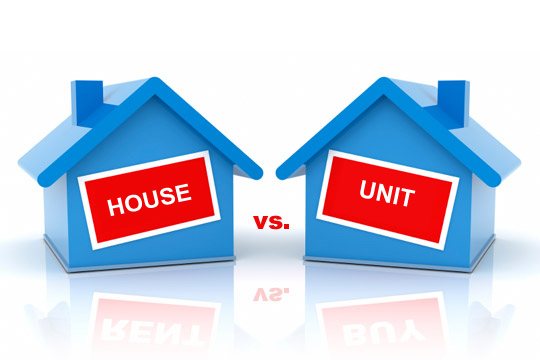 As you are usually surrounded by multiple units / investors you are competing for your rents and valuations – based on resales. House and land as an investment also works. The key is keeping the price point, rental return and demand mix correct, as you want to avoid over developed estates that have high investor penetration. As the land is the asset that grows, a house and land investment will offer the highest proportion of land value (percentage of the purchase price represented by the land) and, provided you are in capital cities, with solid existing infrastructure and demand for housing this can be a safe investment to have in your portfolio. Brand new property works best for depreciation / tax deductions and cash flow also. The great thing about property investing, is that people will always need some where to live.